The meeting brought together representatives from the Lao Federation of Trade Unions (LFTU), the Ministry of Labour and Social Welfare and the Lao National Chamber of Commerce and Industry. The Ministry of Labour and Social Welfare will make another proposal and submit it to the government. If it is approved, the Prime Minister will issue a decree to implement the new minimum wage. Mr Ounkham said a pay rise was vital to improve workers’ livelihoods and ease their hardships amid rising costs, with product prices rising every month or year. “900,000 kip a month is not enough to live on, and many items are increasingly expensive,” he said. Mr Ounkham said many factories and companies had jobs on offer but few people were interested in working for such low pay. 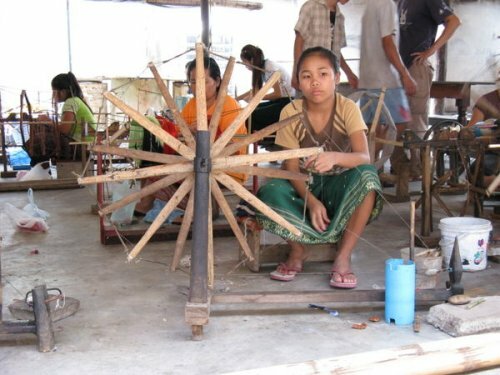 “If we compare the minimum wage in Laos to those of our neighbours, including Myanmar, Cambodia and Thailand, we are the lowest,” Mr Ounkham said. Minister of Industry and Commerce Ms Khemmani Pholsena told the recent National Assembly session that prices of food staples in Laos are 10-20 percent higher than in Thailand and Vietnam. In recent years, the government has approved increases in the minimum wage to enable workers to cope with the rising cost of living. 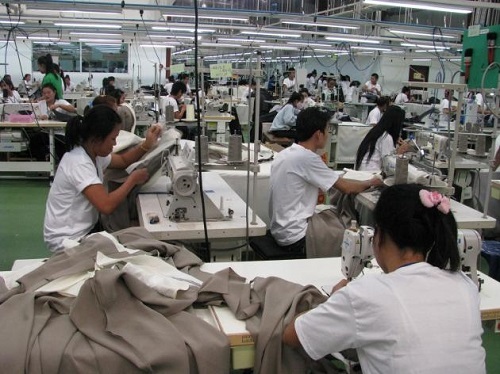 According to the Lao Federation of Trade Unions, last year Laos had about 551,200 labourers, many of whom work for various businesses and are largely unskilled, with some 70 percent working in the industrial sector.